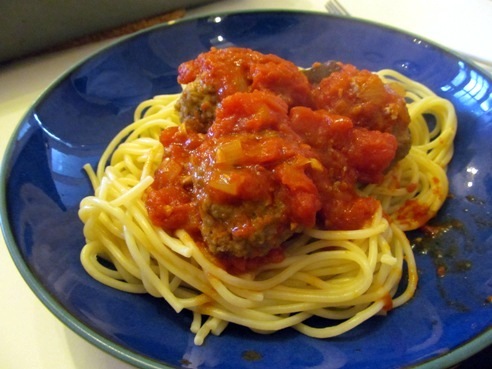 Meatballs especially ones dunked on top of pasta is a favourite in our family. 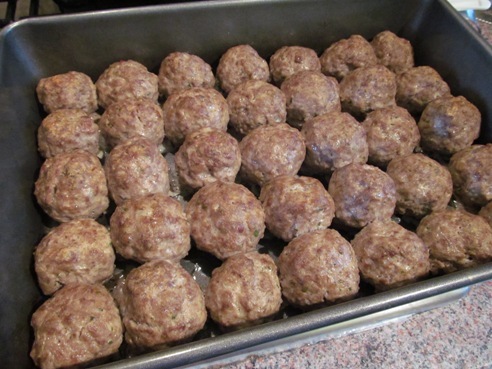 So as expected I have already done quite a number of meatball recipes in this blog. There's our usual spaghetti meatballs, the soupy almondigas, the Spanish albondigas for tapas, even a sweet and sour meatballs. 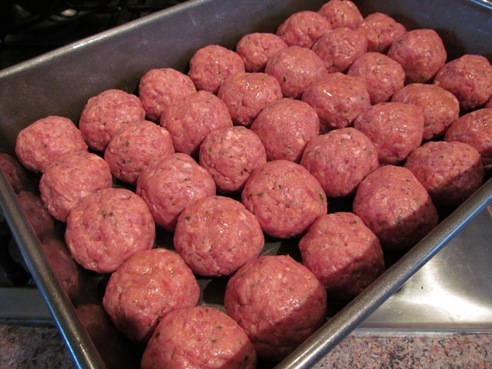 I've been wondering what to cook until I spied this Classic Beef Meatballs recipe from ABC News. Although our usual family meatballs is almost the same as other Italian-style meatballs around, this one had a significant variant in the form of ricotta cheese. That had got me all intrigued enough to try it. And I wasn't disappointed, the cheese made it very moist and soft. The golf ball-sized meatballs weren't to my liking, however. I like them smaller, easier to handle and bite - probably the size of a conker is best for me. So here is my adaptation of that classic beef meatballs. Saute the onion and garlic in olive in a heavy-bottomed saucepan on medium heat until the onion is translucent. Add the oregano, ground pepper and sea salt. Cook for about 1-2 minutes. Add the tomatoes, tomato puree, and bay leaf. Bring to boil then lower heat to simmer for 1 hour (if making as sandwich filler) or just 10 minutes (if making for pasta) making sure to stir from time to time to avoid burning. Taste and add more salt if necessary or a little sugar if too sour. Grease a 13 x 9-inch metal baking pan generously with the olive oil. Preheat oven to 230°C/fan 210°C/450°F. Mix all the other ingredients for the meatballs in a bowl. Combine well. Shape into balls about the size of a conker (around 1 inch in diameter) making sure to pack the meat firmly. Arrange closely in the greased pan (they should be touching each other). Bake in the oven for 15 minutes. A meat thermometer inserted in the middle should read 74°C/165°F. 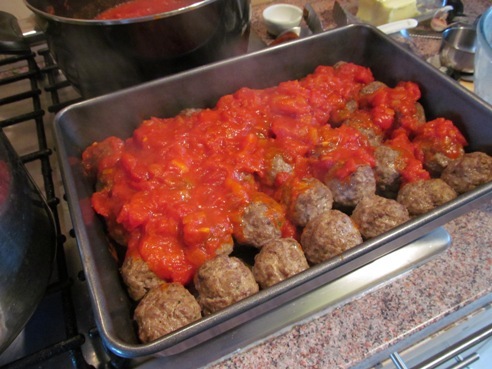 Now, if you want this for sandwiches, spoon the tomato sauce on top of the meatballs and return to the oven for another 15 minutes. If, however, you want this for pasta, pour all the roasted meatballs in the tomato sauce pot and continue simmering for 1 hour. I love that meatballs are a favorite in your home, and am so glad that you were able to find some new inspiration for this challenge. The ricotta sounds like a delightful addition and I bet they were super yummy. Thank you for cooking with us this month! 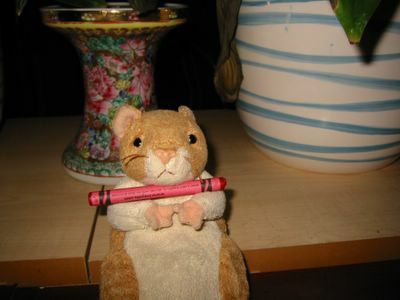 Hi Shelley, it's always a pleasure to participate in the Daring Cooks' challenge. Thank you for hosting this month. My new found meatball recipe is a definite keeper for our family. Yes you can fry the meatballs until just browned. And then once you've done your tomato sauce just add in the fried meatballs and simmer for about 1 hour.